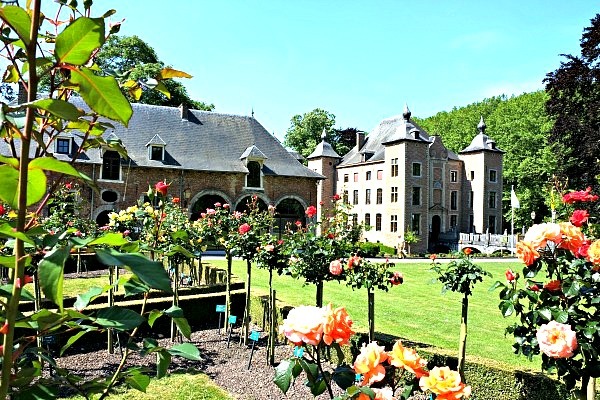 Belgium may be a small country, but it’s full of beautiful sights and amazing food. 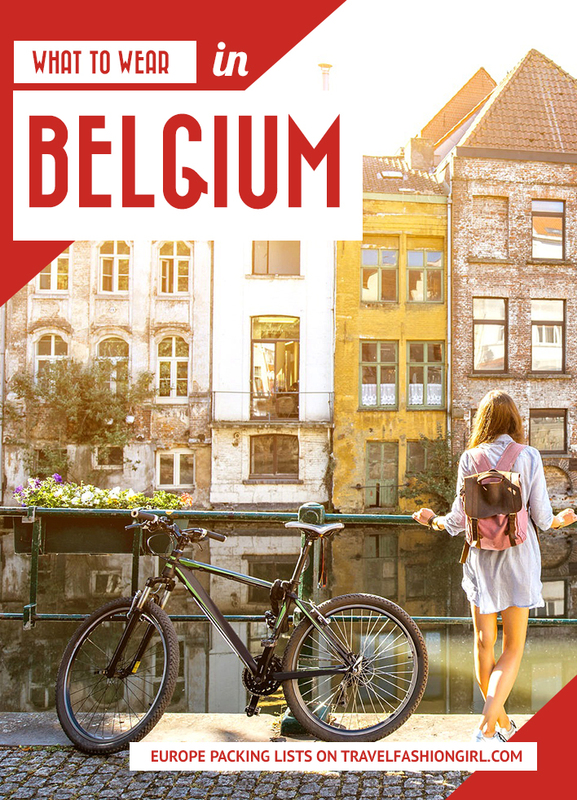 Whenever you decide to visit, follow our tips for what to wear in Belgium throughout the year. 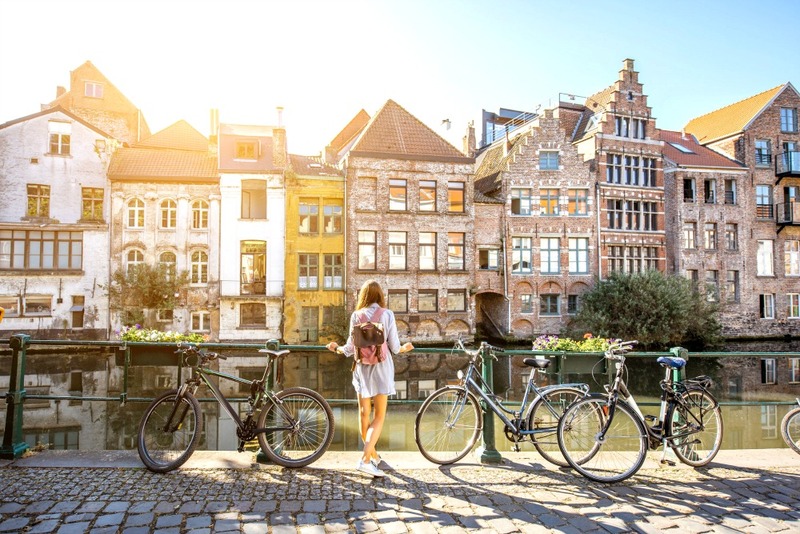 Like most of Europe, Belgium’s busiest seasons include summer through fall due to the great weather and most attractions open at this time, with spring and winter offering chillier weather but more open spaces. However, you can easily enjoy this quaint and beautiful country any season of the year! Belgium has a lot of cultural influences that lends to its fashion sense and design. You’ll notice hints of French fashion, some offbeat German attire and a bit of old World design throughout the country. Lucky for us, that means you can dress up almost anyway you desire! Beautiful coats and boots are perfect towards the end of fall and winter, and it’s more than appropriate to wear dresses and skirts in the late spring and summer. Just make sure you’re somewhat conservative in museums and churches. 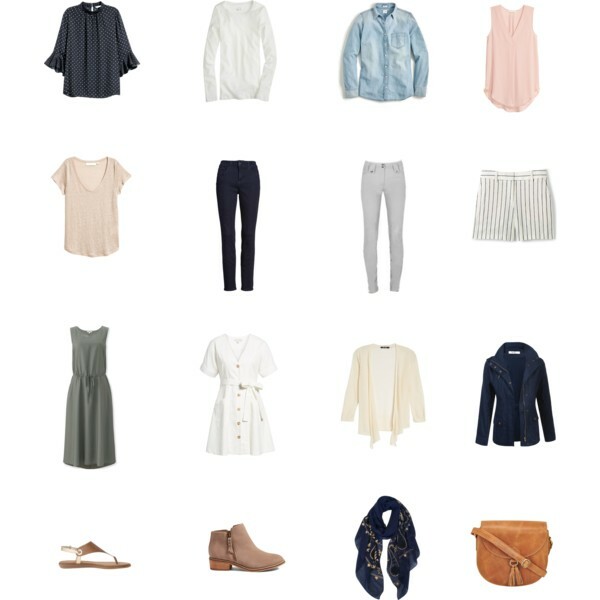 Tip: Learn more about how to create the perfect capsule wardrobe, which can easily fit in a carryon suitcase with the help of packing cubes! It won’t freeze during spring in Belgium, but temperatures do swing a lot. While it’s often only around 50°F / 10°C around the end of March, we can have warm days with well over 68°F / 20°C in late May if we get lucky. The temperatures don’t just depend on the time of year, though. Whether it’s March, April, May, or June, temperatures can rise or drop 15°F / 8°C or so from day-to-day. Such moody weather is especially typical for spring, so it’s important to pack accordingly. As you plan what to wear in Belgium, keep in mind that the trick is to pack and wear layers. But don’t plan on just wearing tops with woolen sweaters over them. Instead, try layering like this: tank top > long sleeve shirt > cardigan > jacket. This allows you to put on as much as you need in the morning and take off as much as you need when it turns out to be a lovely day. Find out our stylish strategies on how to layer clothes! As for shoes, I recommend leather boots or sneakers. Both are fashionable options for the cities and will keep your feet comfortable and dry. During spring in Belgium, there’s often “a fair in hell”. That’s a saying we have to indicate that it’s both raining and sunny at the same time. It’s always handy to have sunglasses when the sun is out, but when the sun in still low, like in spring, and its rays are bouncing off water puddles, they’re an absolute must. Belgium’s size and location make the weather fairly steady throughout the country and very predictable. Summer temperatures range from the mid 50s to the 70s, so it’s a beautiful time of year to visit. However, since this is what everyone is thinking, you can expect lots of crowds. It’s unusual to experience a lot of rain or snow in the summer, but if you’re from a much warmer place, you might want to bring layers even in the summer. Belgium, while casual, has incredibly astounding backdrops that will make you want to blend in. If you’re visiting the Grand Palace or the museums of Brussels, a nice blouse with jeans and booties or a knee-length summer dress is perfect for exploring. Since it never gets higher than the 70’s, you might want to bring a light sweater! If you’re visiting charming villages, the coast or smaller towns, you can dress a lot more casually. Shorts and a tee work just fine throughout the city, though you might be swayed into dressing slightly more romantic as you see Europeans in incredible fashion walk by. 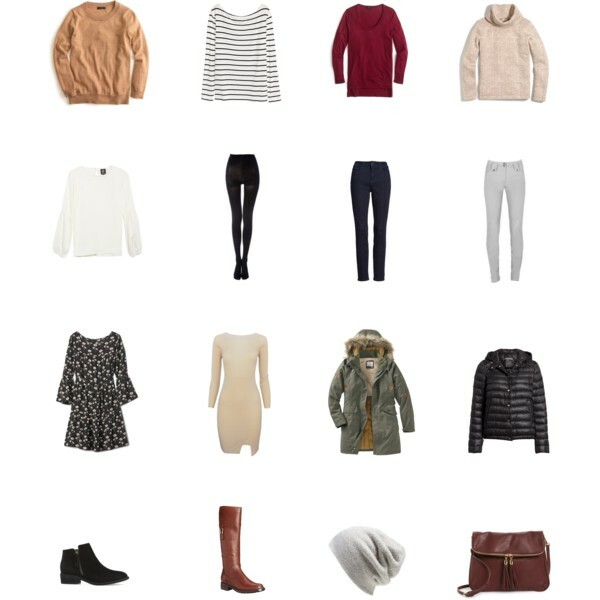 This may include tight clothing, 3-color scheme and beautiful boots and scarves. Find out why leather boots are some of the best travel shoes to Europe! By fall, the weather starts to get colder, with temperatures ranging from the mid 30s to the mid 60s. This is fairly mild fall weather compared to some other locations far more north, making it a beautiful time to visit. Fall’s rainfall drastically increases although you won’t experience too much snow if any this time of year. Make sure you’re prepared with waterproof clothing and an umbrella! If you plan to visit Belgium in fall, you’re going to want long sleeves, layers and chunkier sweaters under your coats and jackets. One or two coats should be enough unless you’re doing it for the ‘gram. For bottoms, stick to pants, be it denim or trousers. Or, if you want to dress up, add a pair of black tights under your dress to keep you warm. If you’re traveling closer to November, don’t forget leather gloves, beanies and rainproof attire. Layer up with scarves, gloves, and hats. And like spring, take a jacket with a hood or an umbrella. For shoes, boots are a go-to pick for anywhere in Europe in fall. Black ankle boots are classic, but you can also add color or knee-high styles, too. If you wear leather, weatherproof them, as you can expect rain. 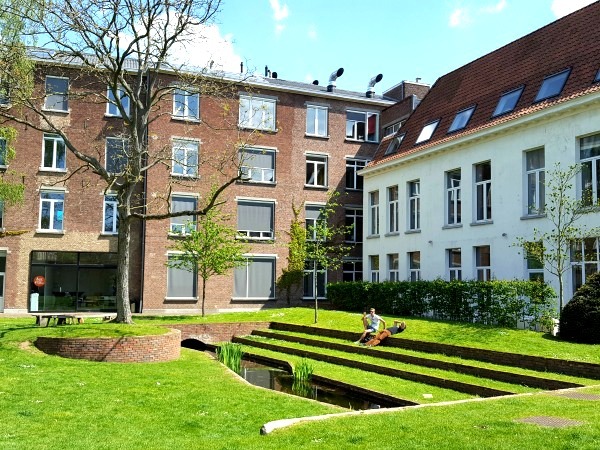 Several backpackers roam through Belgium so hostels and budget accommodations are nearly everywhere. Share a dorm room or save some dough on Airbnb so you can enjoy spending all of your money on food. However, if luxury stays are your desire, you have plenty of options in the bigger cities. Small, quaint cities have nice hotels as well but this could include nice bed and breakfasts or small-chain hotels. Between neighboring The Netherlands, France and the English Channel, you’ll find that there are a lot of modes of transportation in and around Belgium. The most affordable would probably be the bus throughout the city or even throughout the country. Since the country is so small, you’ll probably be taking a car or train during most of your stay. You’d also be surprised just how cheap flying is internationally to some of Belgium’s neighboring countries. 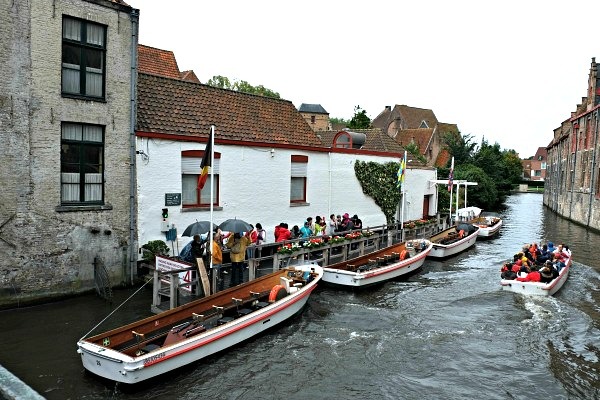 Whether you’re visiting the almost-coastal town of Bruges or the country’s capital of Brussel’s there’s plenty to do and see! Architecture will astound you throughout the country like the windmills in Bruges, the Antwerp’s Palace of Justice, and the Galeries Royales Saint-Hubert in Brussels. 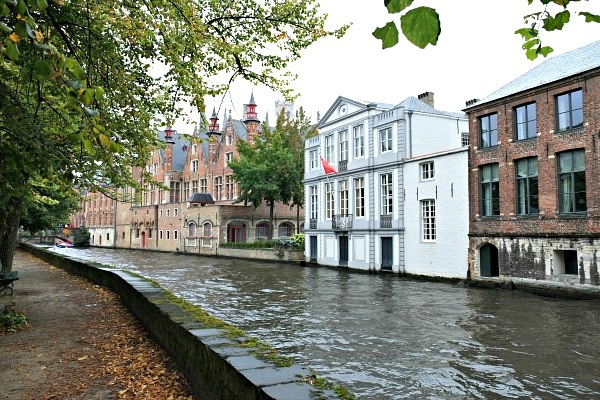 Some iconic sites include Manneken Pis, visiting the Grand Palace in Bruges, enjoying a river cruise, and enjoying some of the smaller cities like Ghent and Antwerp. And don’t forget dining! Eating is a big part of the culture in Belgium. Known for some world-famous beers, delicious chocolates, and those legendary waffles, you’ll have your mouth stuffed during your entire trip. Tip: Worried about theft, add items like a money belt or Secret Bra Pocket to your packing list for Belgium. 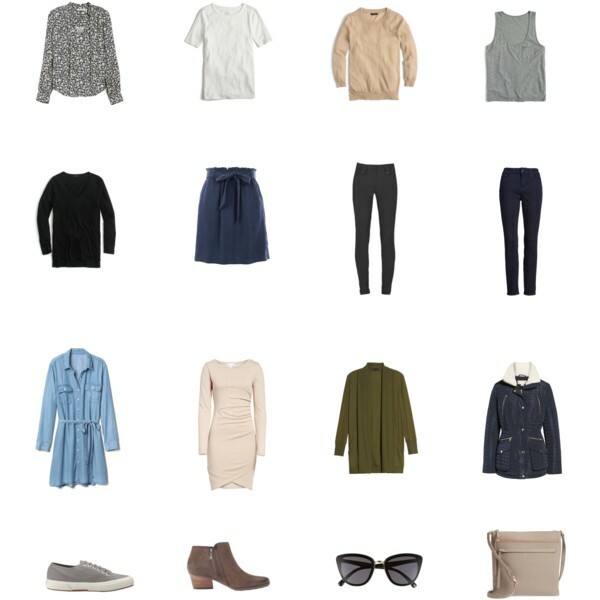 What are your tips on what to wear in Belgium in spring? Comment below! I hope you liked this post on what to wear in Belgium. Please share with your friends on Facebook, Twitter, and Pinterest. Thanks for reading! 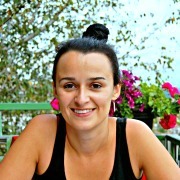 Author Bio: Sebrin is a newlywed, flower child, and travel-obsessed blogger. When she isn’t traipsing the globe with her husband, you can find her curled up with a book, snuggling with her kitty babies, or binge-watching Netflix. 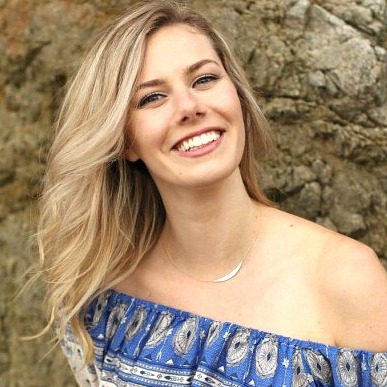 Follow along her travels on her blog or instagram! Author Bio: Belgian full-time blogger Sofie goes in search of cultural and culinary experiences around the world and writes about them on Wonderful Wanderings. She doesn’t function without a cup of tea and is slightly addicted to Instagram and Facebook. I’ll be in Brussels from August until January. Any must brings or tips for packing for several months? Thanks for the Belgium travel and packing suggestions. I am throwing in an umbrella now. Thanks again! Have a great trip Patricia!